Abstract: Argument Technology is that part of the overlap between theories of argumentation and reasoning and those of AI where an engineering focus leads to applications and tools that are deployed. One significant step in the past decade has been the development of the Argument Web — the idea that many of these tools can interact using common infrastructure, with benefits to academic, commercial and public user groups. More recently, there has been a move towards linguistic aspects of argument, with NLP techniques facilitating the development of the field of Argument Mining. Drawing on the academic success and commercial uptake of techniques such as opinion mining and sentiment analysis, argument mining seeks to build on systems which use data mining to summarise *what* people think by explaining also *why* they hold the opinions they do. Biography: Chris Reed is Professor of Computer Science and Philosophy at the University of Dundee in Scotland, where he heads the Centre for Argument Technology. Chris has been working at the overlap between argumentation theory and artificial intelligence for over twenty years, has won over £5.6m of funding from RCUK, government and commercial sources and has over 150 peer-reviewed papers in the area including five books. 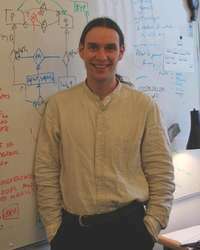 He has also been instrumental in the development of the Argument Interchange Format, an international standard for computational work in the area; he is spear-heading the major engineering effort behind the Argument Web; and he was a founding editor of the Journal of Argument & Computation.